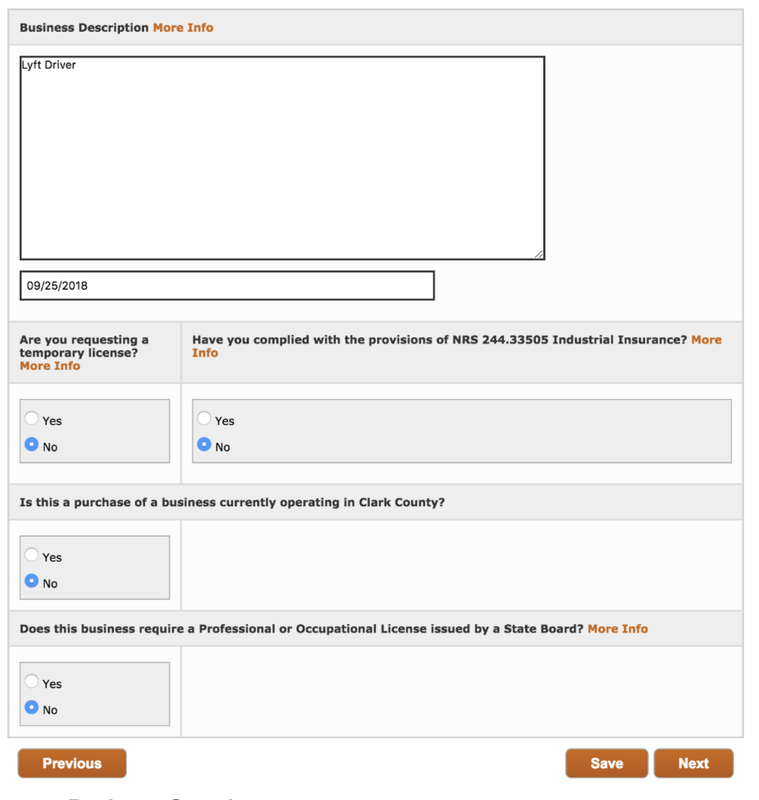 4) Type of Business Ownership - as shown on your Nevada Business License. Most drivers set up Sole Proprietorship. 1) Give your business address and mailing address. Make sure you can receive mail at the mailing address because your Clark County business license will be physically sent to that location. Additional Questions About the Clark County Business License? Feel free to visit the Lyft Hub at 7255 S Tenaya Way #300A, Las Vegas, NV 89113 or contact Clark County directly.